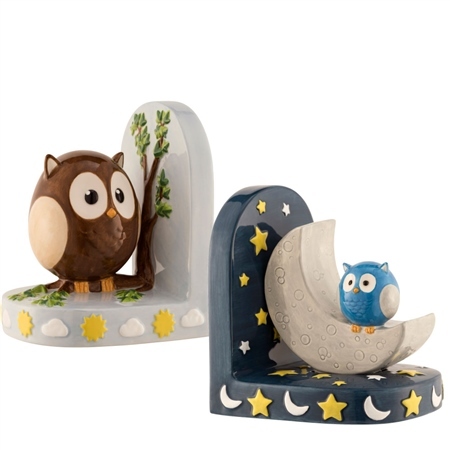 Bring story time to life with these colourful Day and Night Bookends. Aynsley have now made sure that your little ones books can be out on display and organised from day time books to bedtime stories. The bookends are free standing and are 6.7" high meaning they are capable of holding large books, both paperback and hardback. Beautifully made bookends with many possibilities for language development regarding description of animals and sun,moon,stars etc. 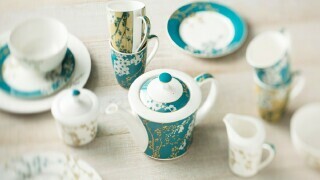 Gift for big brother of three for new born sister. Gives him chance to pass on his baby books.